"This is the true story of a young Bulgarian girl who experienced the cruelty of life in her early years. Her hopes were crushed after her young son was stolen by cruel and corrupt governments. She was completely stripped from all human dignity, enslaved, tortured and humiliated. She escaped communistic Bulgaria by marriage to a cruel sociopath. Enslaved and tortured, her hardships became unbearable. Because of her courage and brilliant mind she escaped again and built a great life. After searching for her lost son for more than 40 years, she finally gave up. Then a miracle happened. 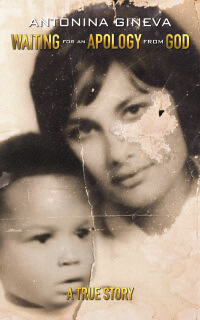 Her lost son, adopted in The Netherlands, found an old poster with her photo in Africa and started searching her. It took 53 years before the threads of their lives were finally woven together again”.